3rd Fridays @ Olive + Stitcher Webby Party!! Comments Off on 3rd Fridays @ Olive + Stitcher Webby Party!! This Friday at Olive is a special one. Stitcher won a Webby People’s Choice award, and we are throwing down at Olive to celebrate. 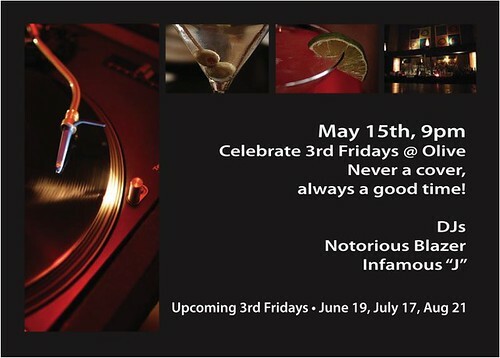 Add to that the usual fun @ Olive on the 3rd Friday of the month, and you have a perfect storm of fun! Come on down, meet the Stitcher team, have a drink, eat some pizza, listen to some music and generally enjoy yourself! Pappa's got a brand new bag! 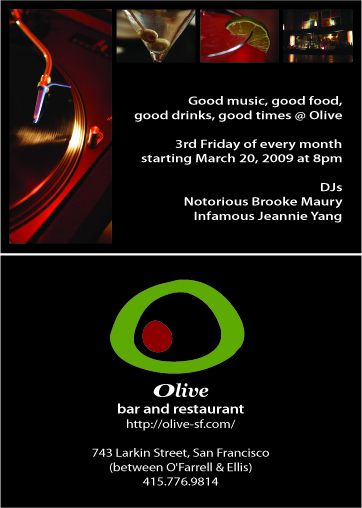 Come on down to Olive for a night of music, food, friends and fun! It’s a gorgeous day and the evening will be divine. Hope to see you! 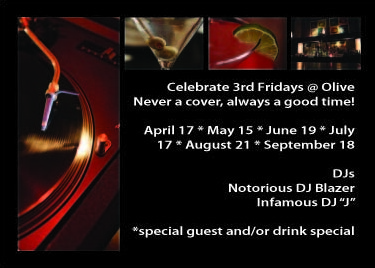 3rd Friday @ Olive – This Friday! Comments Off on 3rd Friday @ Olive – This Friday! It’s that time of the month again, folks! And in a good way. Come on down to your favorite Tenderloin establishment for delicious music, food and cocktails. Listen to the Infamous Jeannie Yang and the Notorious Brooke Maury drop tracks you love, or love to hate. Come say hi! This Friday – 3/20 8PM – late. The differences between the old administration and the Obama administration will be many and massive. One difference that I hope becomes most striking is the relative transparency of the two administrations. As citizens, we deserve deep access to the decision making apparatus in the White House. The last administration was notorious for it’s opaqueness. Hopefully the Obama administration will follow through on its commitment to be bring unprecendented transparency to government. That’s it! An encouraging, if small, indication of where we are going. Of course, this also illustrates a more elegant design that perhaps precludes the need to disallow crawling on 2,400+ different locations. Either way, it’s so nice to see smart work coming out of the highest office in the land. 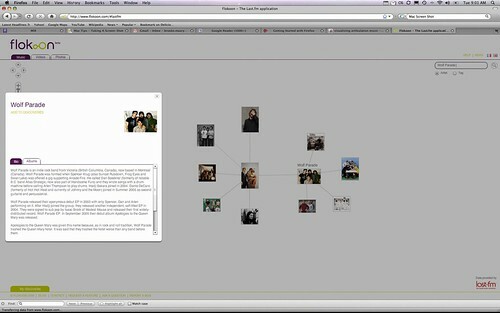 On a side note, nice work to all the folks who put this together! Congratulations. 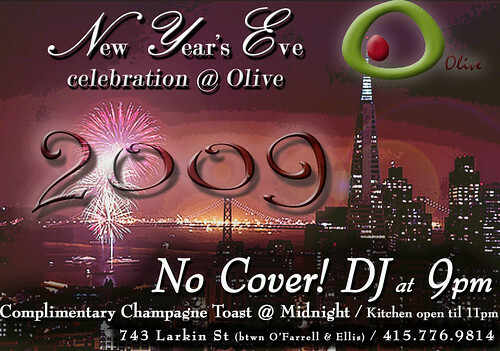 New Year’s Eve @ Olive!! Comments Off on New Year’s Eve @ Olive!! Come on down to your favorite Tenderloin establishment for NYE! I’ll be spinning with the infamous Jeannie Yang starting at 9. Practice saying it. 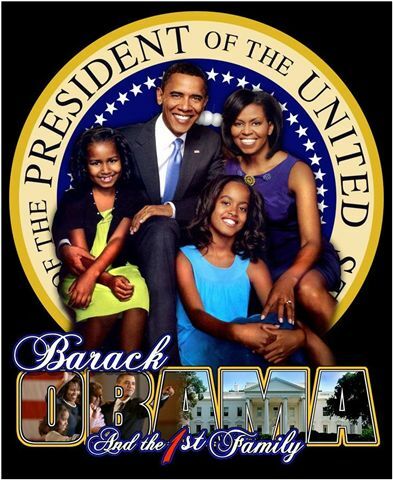 President Elect Barack Obama. Has a ring to it, no? 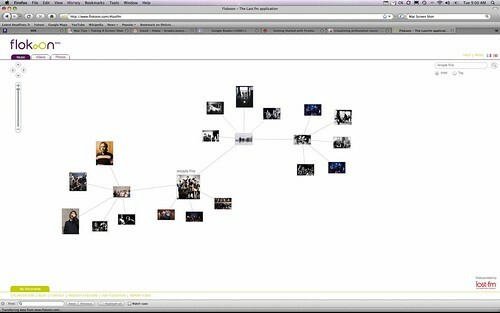 I never thought I’d have a video of Colin Powell on my blog, but these are strange times. This is a remarkable statement by Colin Powell. His endorsement isn’t shocking given his statements over the last few months, but his frankness and honesty are stunning. I was really moved watching this. Among other things, the McCain campaign seems to be drifting into the unsavory ranks of alleged copyright infringers and digital pirates against whom the senator no doubt has voted time and again on the senate floor. Wired magazine is running an article today that the McCain campaign has complained to YouTube executives that the company is way too stringent with regard to the company’s take-down policy for content that a copyright holder claims violates their copyright. The letter is notable both because YouTube and online video generally have become prime platforms for communicating political messages during the 2008 presidential campaign, and because this is one of the rare instances when a member of Congress is speaking out in favor of fair-use rights, after experiencing for themselves the onerous burden put on citizens using media to express ideas. Snicker. Who the hell is running this ridiculous, Orwellian mockery of a campaign? This isn’t the first episode of McCain’s campaign misappropriating content, and even people, in their advertising. Remember the whole Paris Hilton fiasco? The McCain campaign, and John McCain himself, seem to have completely lost their way. I truly hope that John McCain can return to congress when this is all over and rediscover some of the good qualities he once possessed. Given his recent copyright travails, maybe he can now take up the mantle of fair use and end the strangle hold copyright holders have on creative expression once and for all. I can’t stop giggling about McCain’s VP pick. It seems so completely daft and comic. Sarah who? Is this a joke? Who the hell is this person? What qualifies her to be a heartbeat away from the presidency? The thinking seems to be that putting a woman on the ticket might attract some Clinton voters who are disillusioned with Obama and really want to vote for a woman. On the face of it, this makes sense. But I don’t buy the argument that women voters are out there just blindly voting on gender regardless of policy considerations. Palin is an anti-abortion, gun rights advocating evangelical Christian. Is that the candidate who will support women’s rights? She’s basically a conservative hick governor. She’s no Susan B. Anthony.